Share Roy Rapid and the Rhythm Rock Trio's EPK! The event will actually be a dual release show, as openers the Side-Wynders, from Los Angeles, will also be celebrating the release of a split 7” single with BIFF!BAM!BOOM!, released on local imprint, That’s A Dilly Records, not coincidentally run by Fernando Hermosillo (Roy Rapid&#39;s Drummer) and David Vazquez (Roy Rapid&#39;s upright bass player). One Last Chance includes 15 originals and a choice cover of Hank Thompson’s 1952 country classic “Wild Side of Life.” “(Unfortunately) the physical CD makes no mention of the above country music legend or songwriters, and this, Roy Rapid and the Rhythm Rock Trio truly regret. So be it,” said Geddes. The album was recorded and mixed by Chris Grundy at his studio, &#39;The House of Plenty’ in El Cajon, CA. “(I’m) pretty sure it was one of the last albums he recorded at his studio, before he moved his family and studio to Texas,” Geddes noted. The first 25 attendees at the release show will receive a free copy of the Roy Rapid CD, but collectors may want to take note that five rare test pressings of the Side-Wynders single will be given to every fifth attendee after the first 25 make it through the door. “Only a handful of these were made, they are small hole 45’s done for reference,” Geddes pointed out. Guitarists will love every note the Red Fox Tails play, but anyone who digs cool cocktail jazz, surf instrumentals and hip, Henry Mancini-inspired soundtracks will want to hear this band. Appearing at Caf&#233; Bar Europa on Nov. 26, the trio’s sound is built around guitarist Felipe Benavides’ melodic fretwork on a rock-solid foundation of bassist Jay Reilly and drummer Ron Bocian. The band includes Latin and funk elements to their tunes, with titles like “Fiesta!” and “Hit It!” giving a clue to the energy running through the Red Fox Tails music. Most cover bands these days specialize in one era or sound, but the Retro Rocketts have a much wider reach, covering rock, folk and country from the 1960s to 1980s. Appearing at Tio Leo’s on Nov. 26, such a range of material makes for a wildly eclectic show. The band is practically a living jukebox, with tunes by Chuck Berry, Willie Nelson, The Go Gos and the Moody Blues all rubbing shoulders. The Retro Rocketts are truly a combo which offers up something for just about everybody. Mixing country, roots rock and rockabilly, Roy Rapid and his Rhythm Rock Trio have come up with an authentic sound that captures their musical heroes, from Johnny Cash to young Elvis. The band strives for an authenticity that extends to vintage gear, though they also turn out nice originals in the spirit of their influences. With excellent musicianship and smooth crooning from Rapid, this band is a lot of fun to watch and listen to, as well as perfect for the swing-dance crowd. Founded in 1985, ska/reggae group Shocks of Mighty has re-emerged on the local club scene with a new lineup, but retains its classic sound. Performing at The Griffin on Dec. 3, the seven-piece, North County-based group excels at uptempo, rhythm-heavy numbers, high in both energy and melody. Shocks of Mighty’s devil may care, fun-centric attitude can be summed up in its song “Good Friend of Bad Company,” a modern-day anthem for the party crowd. Acoustic Alliance returns to Brick by Brick on Dec. 4 with a dozen performers, delivering four of their best tunes, round-robin style. This edition of Acoustic Alliance includes favorites like The Tilt, Jordan Reimer and Pete Thurston, as well as Savanah Philyaw, Pan Am, Rich McGee, Brandon Joshua, Tannyr Denby, The Castners, Jesse Nova, Trish Hossein and Patrick Mitchell. A great way to listen to a cross-section of San Diego’s exploding music community, audience members get songs, plus a bit of back story on their crafting. Central Coast locals rock this town! “No sympathy for the devil; keep that in mind. Buy the ticket, take the ride … and if it occasionally gets a little heavier than what you had in mind, well … maybe chalk it off to forced conscious expansion: Tune in, freak out, get beaten,” wrote Hunter S. Thompson in Fear and Loathing in Las Vegas. We start our fun in Frankie’s Tiki Room with two couples—Kim and Jason from SLO Town, and Gilbert and Esther from Guadalupe. I don’t have to buy the ticket, because I have a couple press passes, so it’s Wednesday, March 27, and my wife Anna and I are off to Las Vegas for the Viva Las Vegas Rockabilly Weekend, a four-day extravaganza of all things rockabilly: the music, the fashions, the cars. As soon as I convince the big chiefs at the paper that this would be a great cover story (ha ha, suckers! ), I put the word out on Facebook that I want to hook up with some Central Coast locals while we’re there. My pal Nadal Kim is the first to reply. She and her man Jason are heading out there with Gilbert Robles and his wife Esther. Gilbert owns the Ninth Street Barber Shop in Guadalupe, and the four are bringing out a couple classic cars for the car show. After we settle into our room and stock our fridge with Pabst Blue Ribbon, natch, we get dolled up in our rockabilly finest and head out to meet the gang. True to its moniker, Frankie’s is tiki central! Dark lighting, rum drinks in tiki mugs, lots of bamboo, and wall-to-wall hipsters. It’s the beginning of a long strange trip. Do you know how you meet people in Vegas? Two ways. You’re either in line with them, or you’re sitting in a Jacuzzi with them. The first people Anna and I meet are from Philly, but they work in New Jersey at a prison. Brad’s a guard, and Tanya (“pronounced TAN-ya, like Tanya Tucker,” she tells me) is a dispatcher. Brad is all tatted up, his whole arms, right up onto his neck and down to his hands. And part of his legs. And his back. Martina Godwin of San Luis Obispo-based Hep Kat Clothing &amp; Beauty Parlor does up Los Angeles resident Grace Chavez’s hair in the vendor area at Viva Las Vegas. The Hep Kat gals did between 50 and 60 do’s a day, and Hep Kat owners Terry and Brittany Brown sold a ton of clothing. “I’m surprised you’re allowed to have tats on your hands, working at a prison and all,” I say. We also meet Gary, a coalminer from Manchester who just bought a 1949 Chevrolet Fleetliner fastback, which he’s having shipped back to the U.K. It becomes pretty clear Gary is something of an overachiever. He’s also a competitive dancer, and for fun, he bought some $500 plans for a Sam Maloof rocking chair, which he built using his cabinet making skills, even though he’s not a cabinet maker. “He made rocking chairs for all your presidents,” he explains. We also met Lizzy, a hairstylist from London, even though she grew up in Vancouver. After discussing the American health-care system, she bid us farewell. “I have to start on my hair before the shows tonight,” she says, adjusting her leopard-print bikini as she pops out of the warm water. This vintage glasses retailer bought up an old Central Coast business, Retrospectacles, to avoid the competition. They sold NOS (new old stock) as well as used vintage glasses. Sarah and Jenny are besties from Nashville, and wow do they love to talk about their cats and Jenny’s remodel on her house. We tell them about Frankie’s Tiki Room and discover their room is just down the hall from ours. Sarah and Jenny sightings are frequent to say the least. I gotta say, one of my favorite hottubbers is Brian Holden, another Vancouver resident who, it turns out, is an old school rocker. He’s also a teamster and drives trucks for the movies. “Hollywood hates us,” he says, noting that it’s much cheaper to produce films in Canada—even Vancouver, which is an incredibly expensive place to live. Brian is an awesome R&amp;B artist, and tracks from his album Holden are currently playing on the radio in Canada. While waiting in line for the shuttle, we meet (left to right) Care Bear, Pork Chop, Chooch, and Sue from The Stilettoes, the oldest nostalgia club in Detroit. “They’re on those Adult Album Alternative stations,” he reveals, slightly chagrined, but his horn-filled retro sound would work great, say, on the SLO Blues Society shows. 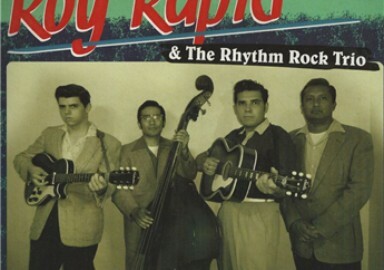 Desde San Diego, California Roy Rapid &amp; The Rhythm Rock Trio se presentan como una joven banda de rockabilly tradicional. Viendo los apellidos de estos chicos, Soltero, Vazquez, Hermosillo y McCarthy r&#225;pidamente nos hacemos a la idea de la procedencia de los mismos, McCarthy no claro, y nos hacemos de nuevo la pregunta recurrente esa de &#191;Qu&#233; tendr&#225; el rockabilly con los descendientes de hispanos en California para que sea un no parar la cantidad de grupos con este denominador com&#250;n que afloran por all&#237;? Felizmente, y seguimos con otra cuesti&#243;n recurrente, es grato comprobar tambi&#233;n como la exclusividad de estas bandas no pertenece a Wild Records, y combos de las mismas caracter&#237;sticas escapan a la influencia del se&#241;or Reb Kennedy y fichan con otros sellos como por ejemplo con los malague&#241;os de Sleazy Records. Mientras seguimos buscando una respuesta a estas cavilaciones, aprovechamos para disfrutar de la potencia de estos chicos, centrados en un rockabilly de ritmo duro tal y como han plasmado en los cuatro cortes que integran este EP. THAT FIRE abre fuego, y nunca mejor dicho, un rockabilly bopper de ritmo muy marcado, un boom-chicka-boom de lujo con Roy Rapid dej&#225;ndose las cuerdas vocales por el camino. GOING CRAZY hace pareja con la anterior, tras un comienzo cansino y desganado, y tras la obligada pausa, la banda entra de lleno de nuevo con Roy desga&#241;it&#225;ndose. Igualmente rockabilly bopper de manual, con un solo de guitarra que recuerda en las maneras, que no en las formas, a alguno de los mejores momentos de los Blue Caps del 56. Cara B, BLUE LOVE, ni un momento para el respiro, traca imparable y riff de guitarras repetitivos e hipn&#243;ticos. Bop, bop, bop…. I&#180;m in love, blue love. Y para cerrar ONE LAST CHANCE mantiene el nivel de los temas anteriores, aunque acentuando la melod&#237;a un punto m&#225;s siniestra, y elevando tambi&#233;n el punto hipn&#243;tico. Un buen EP, que creo que adem&#225;s es la presentaci&#243;n en sociedad de la banda, aunque si hay que sacarle alguna pega, peca de poco variado en los tiempos de los cuatro cortes, lo cual escuch&#225;ndolo de tir&#243;n le hace parecer m&#225;s mon&#243;tono de lo que en realidad es. Los temas por separado funcionan muy bien, siendo THAT FIRE mi favorito de largo. Ah, y que pu&#241;etera man&#237;a de Sleazy Records con meter funditas de pl&#225;stico interiores. A la puta basura que van. In my last post, I spoke about the start of my Viva Las Vegas 16 adventure. Following on from that, I&#39;ll pick up from Thursday night, which was one of my favourites! For everyone that is going to Viva Las Vegas this year I wanted to tell you about a really fabulous pre show. Its going to be on Wednesday April 4th at The Orleans and my mans band, Roy Rapid and the Rhythm Rock Trio, will be playing along with Deke Dickerson and some other great bands and DJ&#39;s.
I&#39;m really excited for this show because it will be the first year that the pre show will be at the Orleans. It is usually at a different location rather far from the hotel. You would have to take a cab to and from the venue and then pay $15-20 to get in and then money for beer...at the end of it all you managed to pay as much to go to the pre show as you did for your ticket to Viva!! Having the pre show at the Orleans is a no brainer IMO, and I&#39;m really positive it will be a new addition to Viva for years to come. There will still be the Wild pre show going on at the same time. This show will be at a bar on Fremont street, which is where it was held last year. Costa Mesa, CA (July 2, 2012)--San Diego based Roy Rapid and the Rhythm Rock Trio, a traditional rockabilly band formed in 2010 was named the winner in the 3rd Annual West Coast Rockabilly Showdown, an event that pitted unsigned bands in a competition that spanned five weekends at the Orange County Market Place in Costa Mesa. The top four bands from the Showdown performed in the finals on Saturday, June 30 vying for $2,500 in cash awards and the opportunity to open for a rockabilly headliner (to be announced) on Sunday, Sept. 16 during the 4th Annual Fall Concert Series. Roy Rapid and the Rhythm Rock Trio won that opportunity and $1,000 for first place. The group is comprised of Christopher Soltero, (Vocals &amp; Rhythm Guitar), Benjamin McCarthy, (Lead Guitar), Joshua Johnston, (Upright Bass) and Fernando Hermosillo, (Drums). The band&#39;s debut album &quot;One Last Chance&quot; landed them a 2012 nomination for the &quot;Best Americana or Country Album&quot; by the 22nd Annual San Diego Music Awards. They also have performed at numerous festivals, car shows and benefits from the Viva Las Vegas Rockabilly Weekender, The Rhythm Rocker and the Southern California Hellbilly Festival and have provided local support to national touring acts like Big Sandy, Deke Dickerson, Petunia and the Vipers and Rosie Flores. A total of 12 bands were chosen initially to compete via electronic audition submittals and included musicians primarily from Southern California, though the lead vocalist in one of the groups flew in from Nashville, Tennessee. Hosted by Karling Abbeygate, the lead vocalist in her own rockabilly band &quot;Karling&quot;, the West Coast Rockabilly Showdown was developed to provide a forum for today&#39;s emerging rockabilly bands. 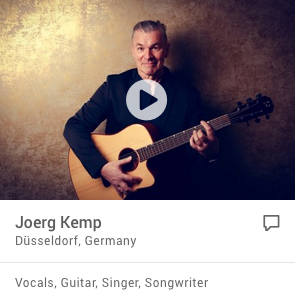 Rockabilly music, a genre born in the Southern United States in the 1950&#39;s and often considered a merging of country and rock and roll music has evolved over the years including waning in popularity, but the interest has sparked a new surge of bands. Second place winner was The Rayford Bros, of La Habra, a trio with a high energy country flavored rhythm and blues form of rockabilly. They won $750. Third place was Cattie Ness &amp; the Revenge of Fresno winning $500. Miss Cattie Ness, aka Rebecca Caraveo, is known as the Rockabilly Queen of the San Joaquin Valley and describes their music as bad girl attitude mixed with mischief as she plays guitar infusing rock and roll into her rockabilly music. The Centuries placed fourth and won $250. The Los Angeles based three piece grassroots classic rockabilly band, which up until their May 26 Showdown win that got them into the finals, performed primarily on the streets including Hollywood Blvd. A similar competition, but featuring harmonica based blues bands will be held during the Market Place&#39;s 4th Annual Fall Concert Series. Cash awards totaling $2,500 and the opportunity to perform at Southland Blues Magazine’s 24th Annual Battle of the Blues Harps in Long Beach, southern California&#39;s longest running blues harmonica event featuring top acts from around the country will be up for grabs in the 3rd Annual Road to Battle of the Blues Harps which will begin on Saturday, September 22 at the Orange County Market Place in Costa Mesa. San Diego-based Roy Rapid and the Rhythm Rock Trio were named the winners in the 3rd Annual West Coast Rockabilly Showdown, an event that pitted unsigned bands in a competition that spanned five weekends at the Orange County Market Place. The top four bands from the Showdown performed in the finals on Sat., June 30 vying for $2,500 in cash awards and the opportunity to open for a rockabilly headliner (to be announced) on Sun., Sept. 16 during the 4th Annual Fall Concert Series. Roy Rapid and the Rhythm Rock Trio took first place at the 3rd Annual West Coast Rockabilly Showdown. Roy Rapid and the Rhythm Rock Trio won that opportunity and $1,000. The group is comprised of Christopher Soltero, (Vocals &amp; Rhythm Guitar), Benjamin McCarthy, (Lead Guitar), Joshua Johnston, (Upright Bass) and Fernando Hermosillo, (Drums). The band&#39;s debut album &quot;One Last Chance&quot; landed them a 2012 nomination for the &quot;Best Americana or Country Album&quot; by the 22nd Annual San Diego Music Awards. They have also performed at numerous festivals, car shows and benefits and have provided local support to national touring acts like Big Sandy, Deke Dickerson, Petunia and the Vipers and Rosie Flores. 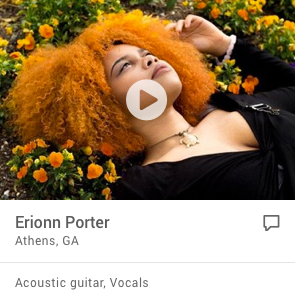 A total of 12 bands were chosen initially to compete via electronic audition submittals and included musicians primarily from Southern California, though the lead vocalist in one of the groups flew in from Nashville, Tenn. Hosted by Karling Abbeygate, the lead vocalist in her own band &quot;Karling,&quot; the West Coast Rockabilly Showdown was developed to provide a forum for today&#39;s emerging rockabilly bands. Rockabilly music, a genre born in the Southern United States in the 1950s and often considered a merging of country, and rock and roll music has evolved over the years and has sparked a new surge of bands. Second place winner was The Rayford Bros., of La Habra, a trio playing a high energy, country-flavored rhythm and blues. They won $750. Third place went to Cattie Ness &amp; the Revenge of Fresno, who won $500. Ness, aka Rebecca Caraveo, is known as the Rockabilly Queen of the San Joaquin Valley and describes their music as bad girl attitude mixed with mischief. She plays guitar, infusing rock and roll into her rockabilly music. The Centuries placed fourth and won $250. The Los Angeles-based three piece grassroots classic rockabilly band performed primarily on the streets, including Hollywood Boulevard, until their May 26 Showdown win that got them into the finals. A similar competition, but featuring harmonica-based blues bands will be held during the Market Place&#39;s 4th Annual Fall Concert Series. Cash awards totaling $2,500 and the opportunity to perform at Southland Blues Magazine&#39;s 24th Annual Battle of the Blues Harps in Long Beach, Southern California&#39;s longest running blues harmonica event featuring top acts from around the country, will be up for grabs in the 3rd Annual Road to Battle of the Blues Harps which will begin on Sat., Sept. 22 at the Orange County Market Place in Costa Mesa. The Orange County Market Place in Costa Mesa, California was the scene for the finals of the third-anual West Coast Rockabilly Showdown held last Saturday. This friendly contest is meant to shine a light on up and coming rockabilly acts and was hosted this year by southern California’s own rockabilly princess Karling Abbeygate. The showdown started with 12 unsigned, independent rockabilly acts and the field was whittled down to four finalists who played in Saturday’s showdown. The Rayford Brothers took second-place honors and Roy Rapid and the Rhythm Rock Trio took home the grand prize. Now that these bands are on our radar, it’ll be interesting to watch them grow and develop. Here’s a short video that gives a brief look at all four finalists. Hopefully we’ll see a lot more of all of these bands in the future. Holy cow! That’s what I call Rockabilly. Roy Rapid and the Rhythm Rock Trio are a hot young Rockabilly quartet from San Diego, California formed in 2010. They are, on this record, Christopher Soltero, (Vocals &amp; Rhythm Guitar), Benjamin McCarthy, (Lead Guitar), Joshua Johnston, (Upright Bass) and Fernando Hermosillo, (Drums). It’s a rare pleasure to hear this music played with so much spontaneity. They really live it instead of trying to recreate it like so many others and it shows. They sound like a cross between the early Big Sandy and the Fly-Rite Trio and Rip Carson, but to tell the truth, it wouldn’t be fair to compare them to other bands as they have their own sound. And icing on the cake, 15 songs out of 16 are originals penned by the band, the sole cover being Hank Thompson’s Wild Side Of Life. They are wild when needed, but not too much, they can play ballad and they also know their hillbilly roots. So, I&#39;ve kind of sat on doing a music Monday for these guys, because I haven&#39;t had a chance to really listen to their album until recently. So, here you go! Roy Rapid &amp; the Rhythm Rock Trio have been around the San Diego rockabilly circuit for a few years now. And definitely one of the better ones. A few of the band members came together after the now-defunct Rumblers decided to permanently call it quits. They took to the San Diego scene like a wildfire with a true rockabilly sound. Before you knew it, they had quite a following and the girls screaming. With the help of their manager, the guys managed to put themselves on the rockabilly map with annual gigs at Viva Las Vegas and different venues in Los Angeles, including a mini southwest tour every fall. Recently, Derek and I were able to attend the album release party for Roy Rapid &amp; the Rhythm Rock Trio at Tio Leo&#39;s for &quot;One Last Chance&quot; along with the San Diego album release for the Sidewynders. They were great and definitely a band you shouldn&#39;t miss live, because they will keep you dancing all night long. If you haven&#39;t already, you should check them out here. Based out of San Diego, California, Roy Rapid is just one of those bands where if I didn&#39;t know any better, I&#39;d think their stuff was recorded back in the 50&#39;s. Very authentic sound and great songs. Their big song &#39;One Last Chance,&#39; is by far one of the biggest stand outs on their new album. And their cover of Hank Thompson&#39;s &#39;Wild Side Of Life,&#39; dare I say, is better than Hank&#39;s! You know a band is good when they released a 45 single, and Roy Rapid did one up and released a 7&quot; EP, featuring One Last Chance, That Fire, Blue Love, and Going Crazy. For lack of a better comparison, Rapids vocals could be compared to a young Elvis, leaving Sun going to RCA, that era. Really strong and powerful, and doesn&#39;t beat around the bush. I&#39;ll just say, this is one band to check out if you haven&#39;t and try to catch them live. 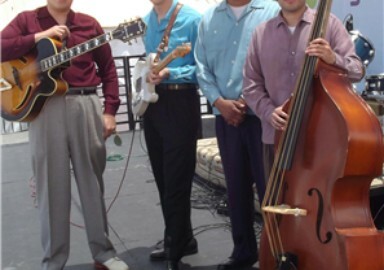 They perform at Viva Las Vegas: Rockabilly Weekend and all around the San Diego area. Keep an eye out for them cause this is one band you don&#39;t wanna miss! San Diego natives, Roy Rapid and the Rhythm Rock Trio formed their original, traditional rockabilly band in the winter of 2010. The group is comprised of Christopher Soltero, AKA Roy Rapid, (Vocals & Rhythm Guitar), Benjamin McCarthy, (Lead Guitar), David Vazquez, (Bass) and Fernando Hermosillo, (Drums). San Diego Reader Music Critic Bart Mendoza describes the group as... “Mixing country, roots rock and rockabilly. Roy Rapid and the Rhythm Rock Trio have come up with an authentic sound that captures their musical heroes. The band strives for an authenticity that extends from vintage gear, to their dress, as they turn out nice originals in the spirit of their influences, with excellent musicianship and smooth-­- crooning from Rapid”.